This is the ultimate chair for your North Woods Cabin. 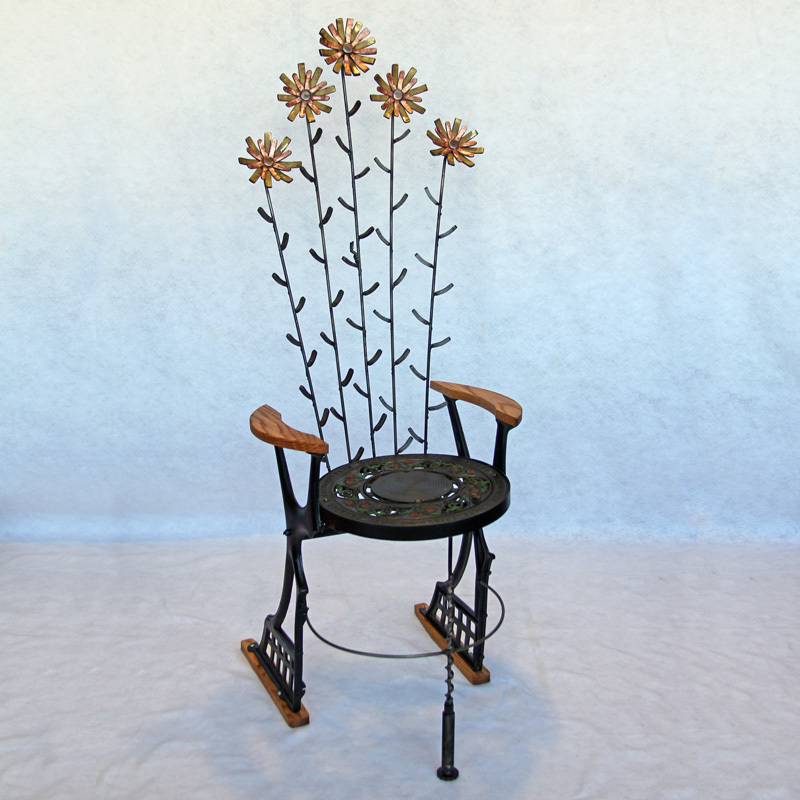 Created by Larry Johnson, a noted artist in northwest Wisconsin, this chair is highlighted by an antique leather snowshoe on the back of the chair, deer antlers on the sides, and a beautifully painted tree and would look great during any season “Up North”! The rich Scandinavian heritage of northern Wisconsin is captured by the free-style rosemaling on the backrest. Can’t you just see this chair sitting next to your fireplace? The contemporary angled base of this piece would look amazing in any home. 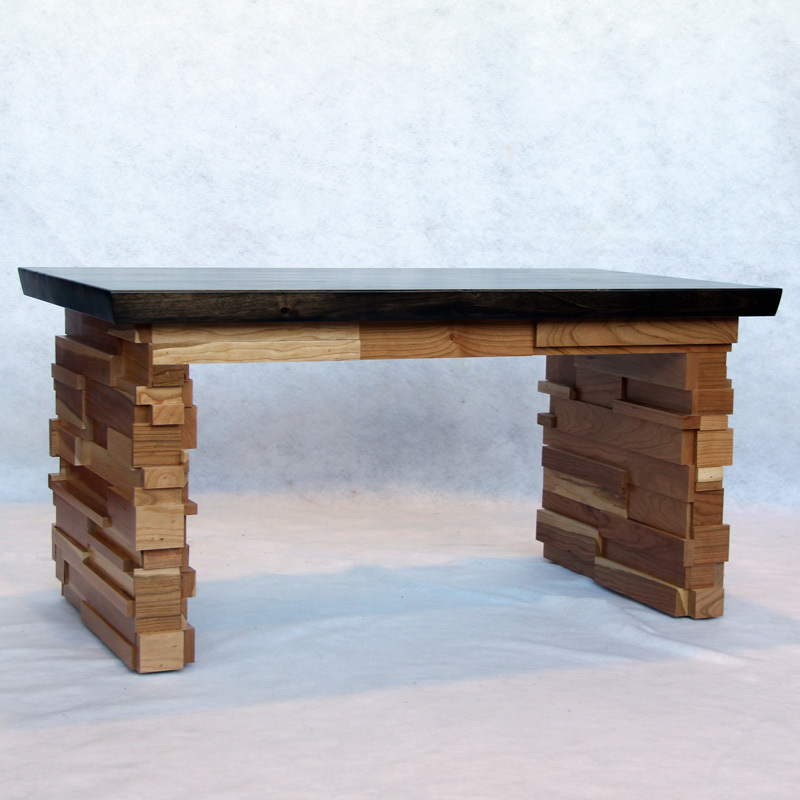 The natural finish brings out the beauty of the douglas fir and ash. The angled base both takes advantage of center of gravity and seems to defy gravity at once. Everyone deserves the chance to fly and this chair will make you feel like you are defying gravity. Closing weekend Hamilton tickets! This American musical package might just be the highlight of your July. Start the weekend off with an $1,000 dollar flight voucher and add four tickets to the Broadway hit featuring the work of the talented Lin-Manuel Miranda in the Dress Circle Left Center seating area on closing weekend, July 20, 2019 at 8 p.m. Afterwards, rest in style with your group at the Palmer House, a Chicago institution since 1873, which has the reputation of Chicago’s liveliest social center, hosting a long list of prominent figures—including those ranging from U.S. presidents to Charles Dickens to Oscar Wilde. The two bedroom suite, complete with breakfast, parking, and a gift set round out this unforgettable weekend away. The Welsh Stick Chair is a simple, sturdy chair that emerged centuries ago. It was built by the common man for his home. Chairs were expensive and out of reach for most people. By necessity, they made their own. 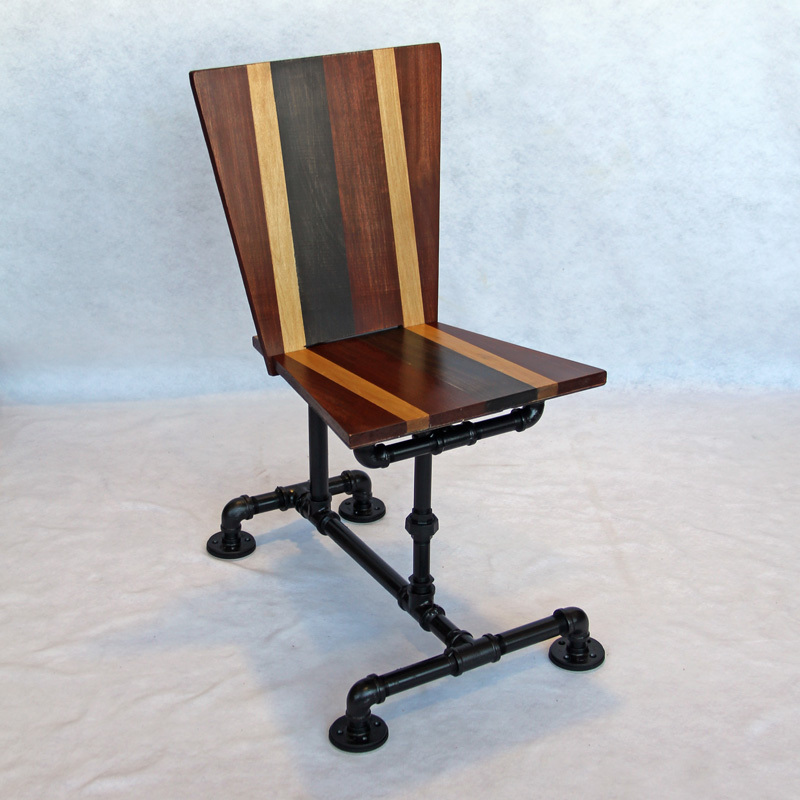 The Welsh Stick Chair shares some traits with its fancier cousin, the Windsor Chair. Both have staked legs and spindles for back support. Simple? Yes, but also stunningly gorgeous! This chair was made by hand; shaped and hand planed all by hand! The wood varieties are all found locally; the seat and arm bow are Walnut, with Oak spindles and legs made of Ash. This chair is both familiar and fascinating all at once and would look great in any corner of your house! Invite 20 of your friends to a private wine tasting hosted by Bitter & Pour. Join sommelier Josh Kral as he guides your through different varietals of wine and helps you discover your unique palate. Tasting includes paired charcuterie and cheese boards. A gorgeous slice of nature’s bounty, supported by a metal frame. The wood’s natural cracks are filled with glistening resin making it delicate and strong at the same time. Psst…do you want to invite 20 of your closest friends to your home for a Mafia Trivia Party?! Trivia Mafia is an old school, team-based, pen-and-paper trivia. Questions are asked about everything under the sun: Pop culture, history, geography, & science to name a few. “Use your noodle. Not your Google.” Included in your package are 30 crowlers provided by Thesis Beer Project and an exclusive dinner party crafted in your home by Eric Peterson with food provided by Fresh Thyme and Costco. This party for 20 is sure to be absolutely fantastic. It’s no secret that Minnesota is THE state of hockey, and this is THE perfect chair to watch your favorite team play!! Perfect for hockey fans of all ages, this chair would look great anywhere, in a man cave, a child’s bedroom, or even outside by your backyard hockey rink. This package also includes four tickets to watch in person the Minnesota Wild play against the Winnipeg Jets on April 2, 2019 at Xcel Energy Center. Seats are located at C23 (club level), Row 4, Seats 8-11. Watch the Minnesota Timberwolves during their 2018-2019 Season from a team suite and host up to12 guests. Experience the best in Minnesota hospitality from the upscale and private all-inclusive members-only club that serves as the cornerstone of the Target Center premium level. Game Date subject to availability; not valid for Marquee, Elite or playoff games. Does not include food, beverage or parking. This chair is simply inviting! With plenty of angles, shapes, and contrasts in color and textures, Nested Club Chair manages to maintain an overall soft, warm appearance. The weathered architectural design mixed with a traditional club chair shape make it a conversational piece! Are you a little bit country? When the Thunder Rolls, you’ll want to bid on this fantastic SOLD-OUT concert package which includes 4 tickets (for your Friends in Low Places) to the Garth Brooks concert on May 3, 2019 and a 2 night stay at the Depot Renaissance which offers the perfect blend of history and style in downtown Minneapolis. If Tomorrow Never Comes, at least you’ll have been at U.S. Bank Stadium in May, in Section 112, Row 35. What happens when a rusty floor heater grate from 1897 meets an old broken school desk? A bunch of blooming flowers! This riddle makes perfect sense because found objects transform into beautiful art. There’s even a caterpillar included. But no worries, it won’t nibble on the flowers. A private Taiwanese dinner for 6 (with celebrity guest Betsy Singer and Ken Quattrin) by Choochoo-ca-Chew to take place at a location of your choice. Enjoy 5-7 Taiwanese dishes served family style. Learn about how we traditionally eat at our meal, stories about food and new flavors! Cooking exclusively in your kitchen we will prep, cook, serve and clean up. You provide drinks and good conversation. Menu will be created according to season and sourced locally. No substitution for ingredients to keep it authentic as possible. Innisbrook Resort and Golf Club - Nestled on 900 pristine acres of Florida’s Gulf Coast, it is one of America’s premier golf destinations. But this fantastic resort is also your “sweet spot” for truly memorable family vacations, special events and inspirational group meetings. Package includes a 6-night stay in a beautiful 2 bedroom condo with a full living room, dining room, kitchen, 2 bathrooms, and patio deck. There are 3 golf courses on the property, 10+ tennis courts, a spa, and $3 million pool with waterslide and Jacuzzi that seats 20. This package also includes $500 Visa gift card for your travel arrangements. Available most dates from May 1st 2019 through Nov 1st 2019. This package is non-transferable. An embracement of minimalism is the rejection of ornamentation. This chair embodies the minimalist movement through its simple use of a Cambria bench combined with an opposing bent steel plate. The simplistic style and colors are timeless. The welded steel frame, (completed by Joshua Nordine with Nordine Industries) in combination with the Cambria seat will last forever. 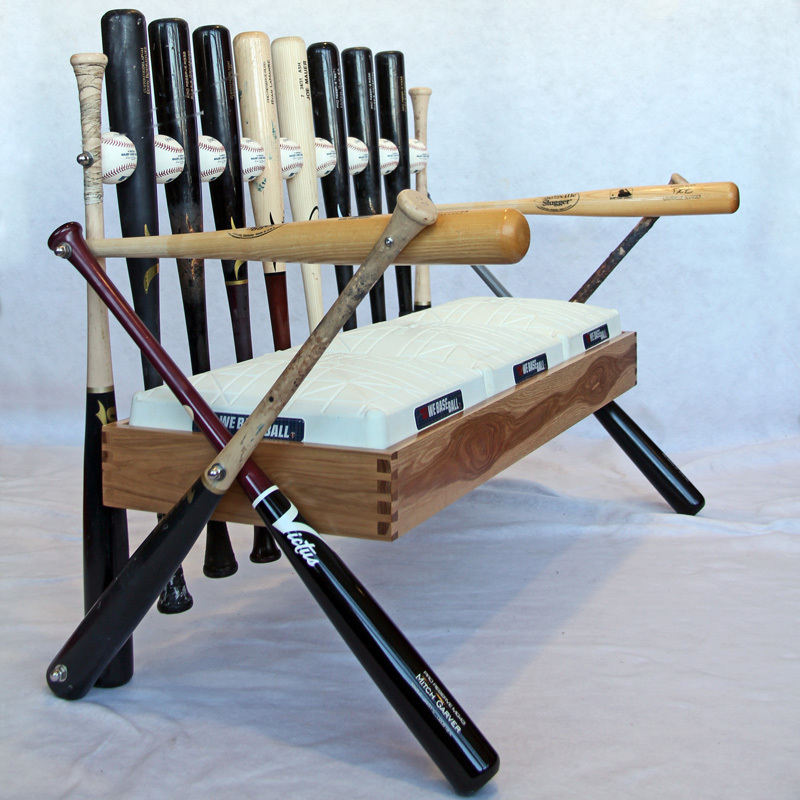 Batter up with this bench sourced from Target Field! Direct from the great Minnesota Twins to you, this bench comes from the hands of famous ball players — featuring genuine, field-played bats, balls and bases found only in Minnesota. This distinctive chair — made from sturdy iron pipe and alternating wood tones — is certain to be the focal point of any room. The combination of materials allows this piece to be simultaneously sleek and industrial, making it feel “at home” in any space. You will feel like a Cover Girl when you and three of your friends are hanging tough in the Country Financial Suite at the Xcel Energy Center, not tonight, but on June 11th! Every step by step you take will bring you back to the ‘80s and all your favorite bands. Looking for a way to relive your favorite musical memories? 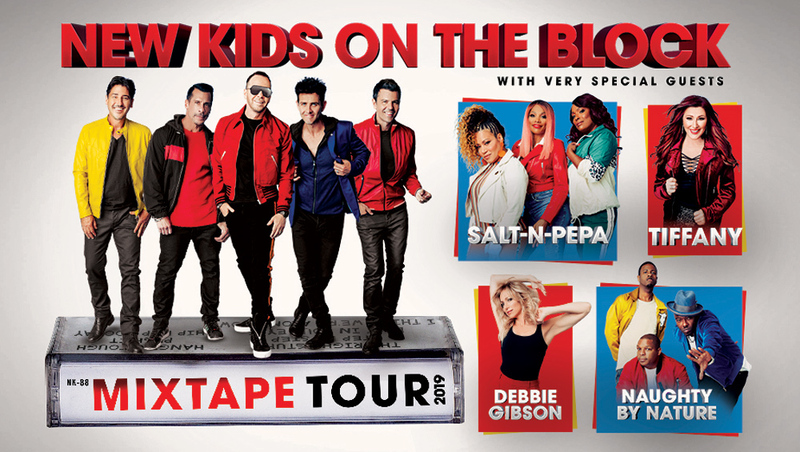 You got it (The Right Stuff) with the New Kids on the Block, the multi-platinum selling pop super-group and their MixTape Tour, which brings special guests to the stage with them! You will Clap yo hand’s and shout Hip Hop Hooray when Naughty by Nature takes the stage. Make sure you don’t wonder what could’ve been if you miss this show. You will want to Shoop all night long and push it to the limits at this concert! This package is not transferable. A solid espresso birch butcher block top sits atop building block-style legs made of cherry creating a contrast in color and texture. Every single piece of wood in this bench was reclaimed from the wood in Angus’ shop. Treat yourself to a one-of-a-kind dining experience at Downtown Rochester’s newest venue, The Castle! Chef Zach Ohly and his culinary team at Cameo Restaurant will serve a multi-course private dinner for eight, complete with wine pairings, in the Castle’s third floor art gallery - The Turret. Each guest will also receive an original piece of art created by an artist from the Castle’s arts collaborative - Threshold Arts. It’s a meeting of two minds as this bench’s dark walnut (sourced from a tree in the artist’s own backyard) contrasts with light-colored hickory accents. 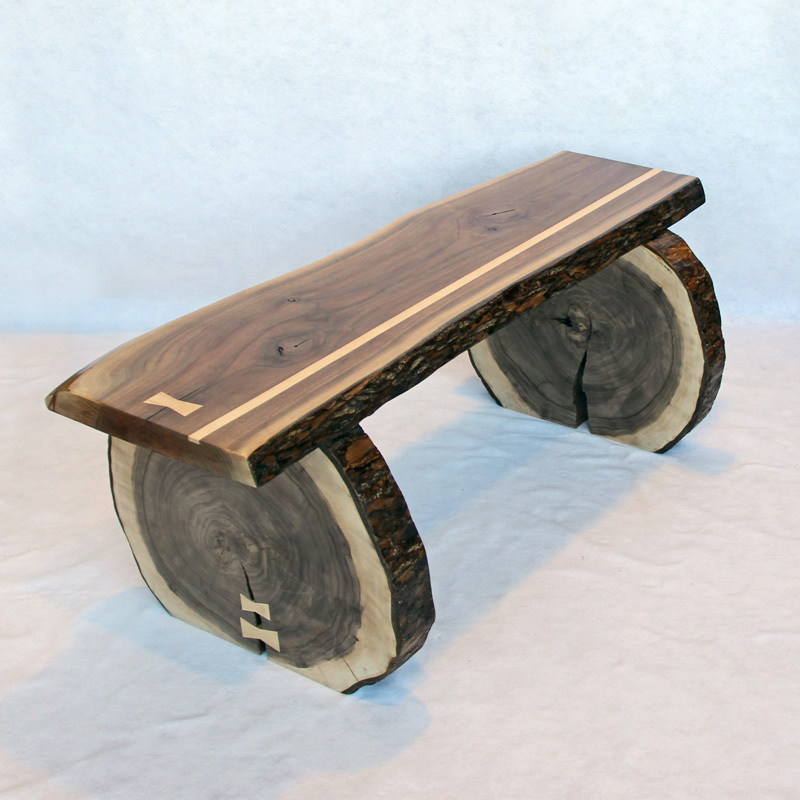 Featuring a “live edge,” bowtie joints, and hearty construction, this bench is certain to be an heirloom piece — giving generations of your family countless opportunities to sit, share, and spend time together. Sponsored by Bleu Duck Kitchen & Little Thistle Brewing Co.
Local flair just got better with a pairing between two Rochester fast favorites. Named best restaurant and best brewery by Rochester Magazine and now the best of town wants to share with you a pairing of Bleu Duck flavorful fare and Little Thistle’s masterful brews. This exclusive, private party for 25 includes a personal brewery tour, beer tasting of the all that’s on tap, heavy appetizers from Bleu Duck, a pint of your favorite beer, and a take home Little Thistle glass. Boys & Girls Club of Rochester is a 501 c 3 nonprofit organization. The mission of Boys & Girls Club of Rochester is to empower all young people, especially those who need us most, to realize their full potential as productive, responsible, and caring community members.